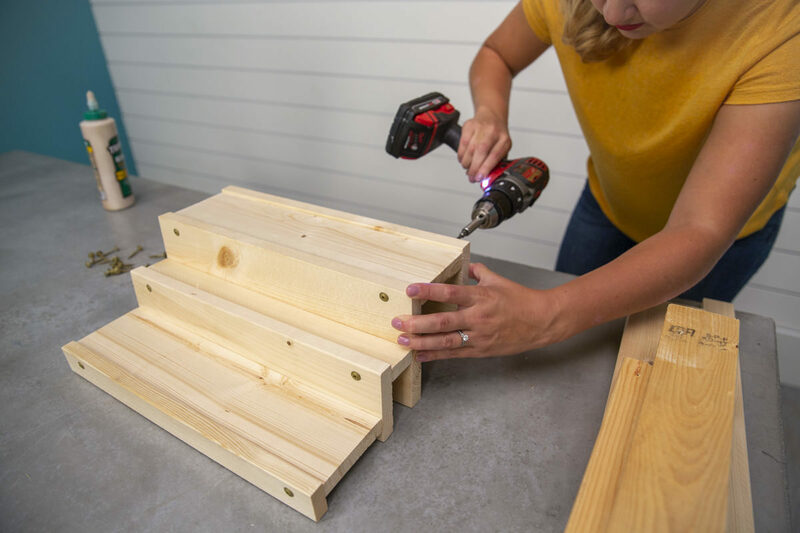 DIY Lifestyle: From Home Decor to Food and Beverages Print this Project! "This project was too easy to not make myself." Ever since we moved into our new apartment, I’ve been desperately needing a spice rack. I’m big into baking, so I have all of the baking spices you could ever need, and I really like making a few specific Indian dishes that require even more spices. What is butter chicken without a dozen different flavors? Needless to say, our cupboards are filled and I was in desperate need of organizing them. I just sort of envisioned this project in my head—a little spice staircase of sorts—and it came to be. It was too easy to not make myself, especially because I had all the materials lying around. 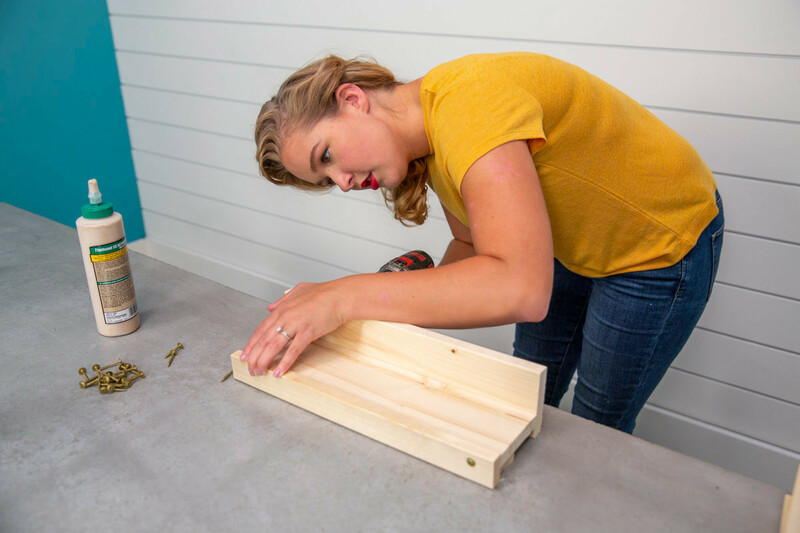 Even if you have to buy your own materials for this project, you’re looking at $15 max. It’s the perfect project for fall, too—it’s the season for baking cozy sweets and warm, savory dishes. Let’s get to it! 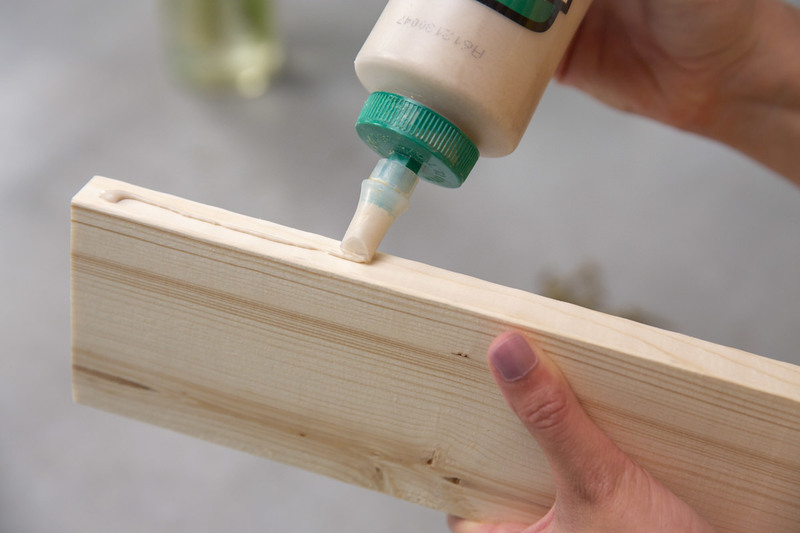 For this project, I’m using one-by white wood because it’s not too bulky, it’s inexpensive, and because I already had it lying around. You can use whatever you like. 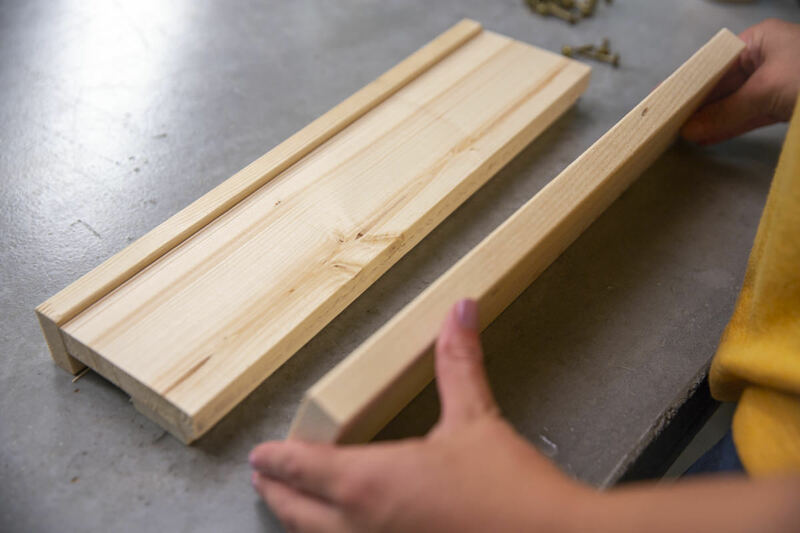 Start by cutting all your pieces to the desired width—I went with 15” based on my cupboard (and the bottles I wanted to make room for, like olive oil and balsamic). 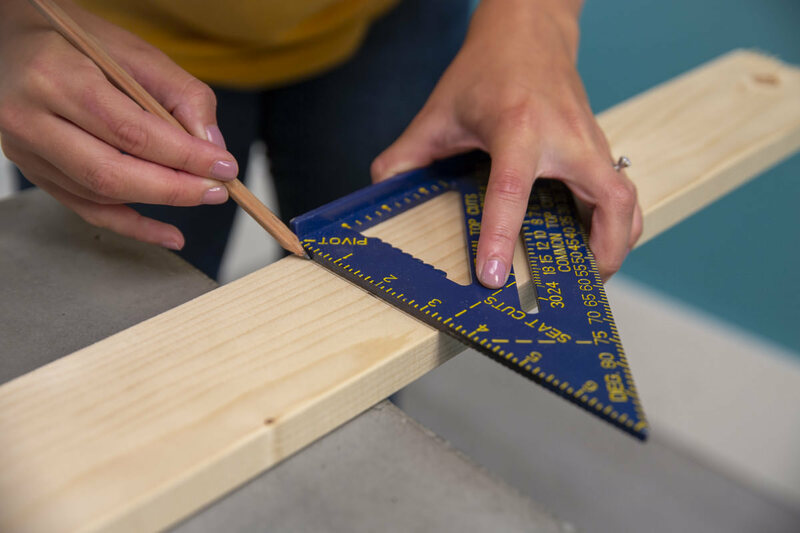 Cut two each of the one-by-six and one-by-two, and three of the one-by-four. 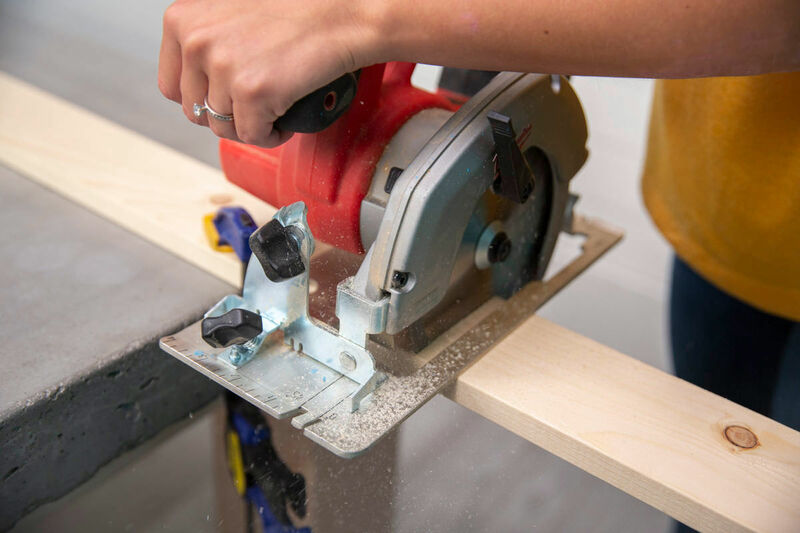 I used a circular saw, but you can easily make your cuts with a handsaw and a miter box—there aren’t many to make. One note: The average depth of a kitchen cabinet is 12” deep—whereas my spice rack is 11 3/4" deep and just barely fits. 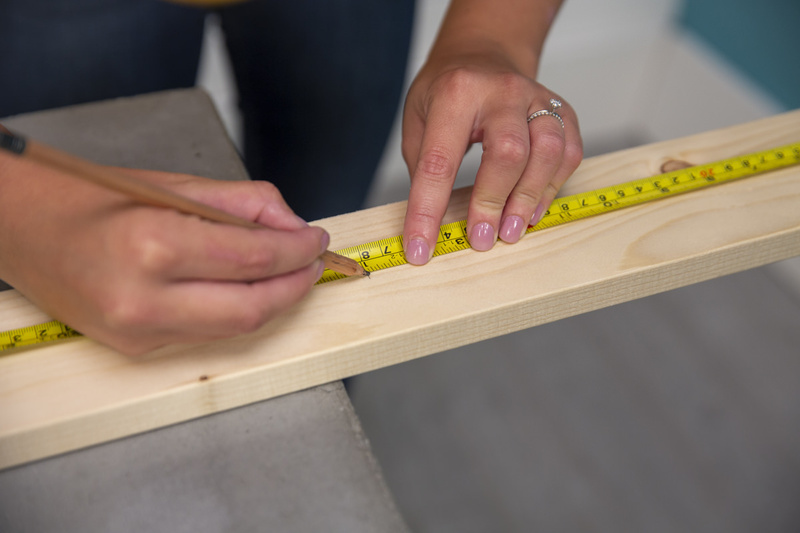 Measure your cabinets and make sure you know how much room you have to work with before getting started. 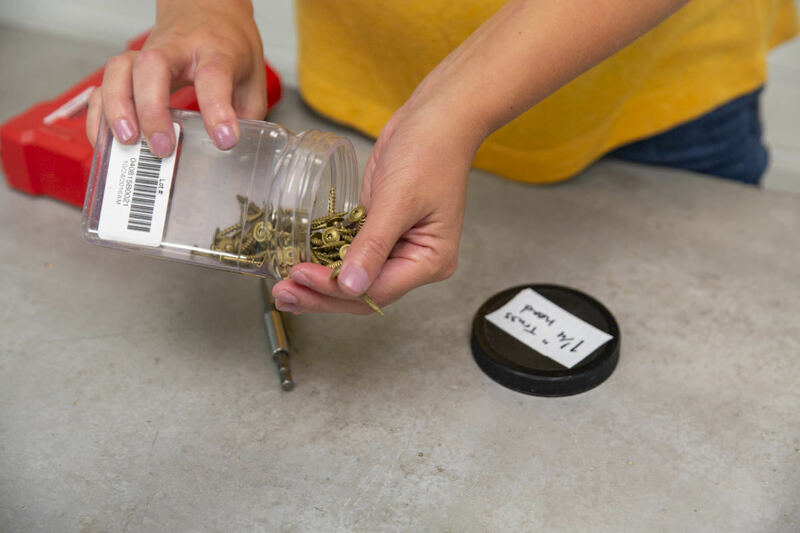 It's also important to measure your spice bottles to ensure they'll fit in your finished product. Sand all of your cut edges so they’re smooth. 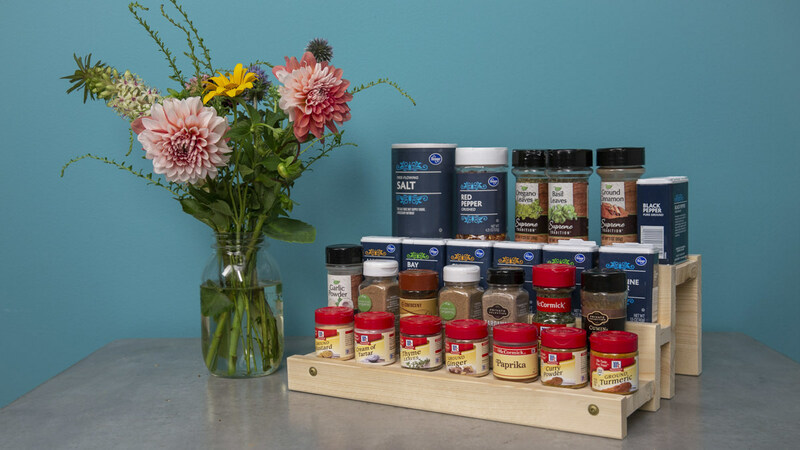 This spice rack has three tiers, kind of like a set of steps. 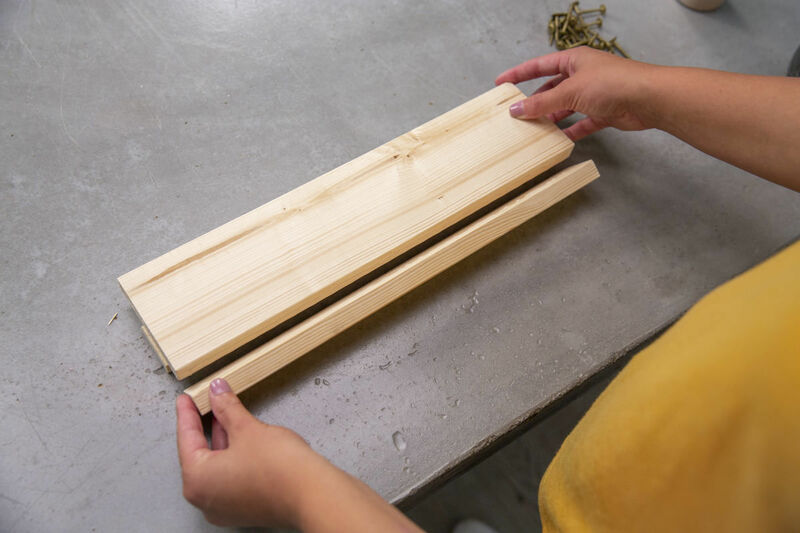 To start, we’re sandwiching a horizontal board between two vertical boards. 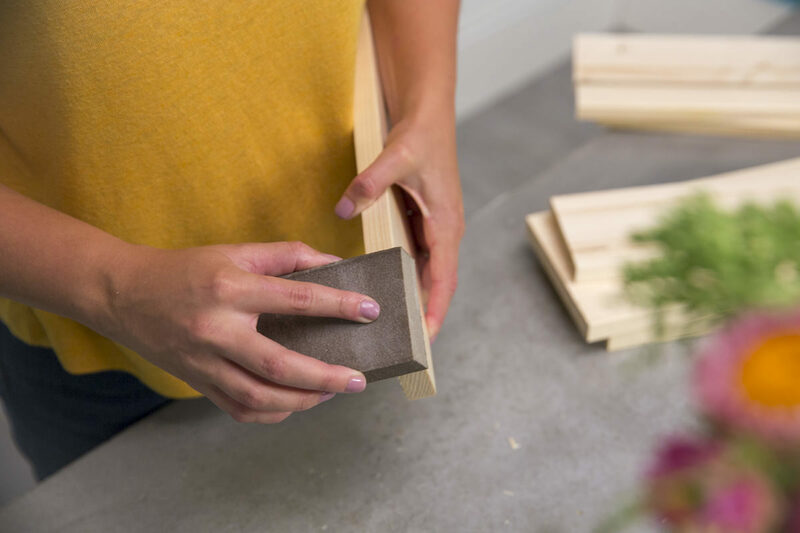 Use a one-by scrap as a temporary support, then place a one-by-four piece on top. 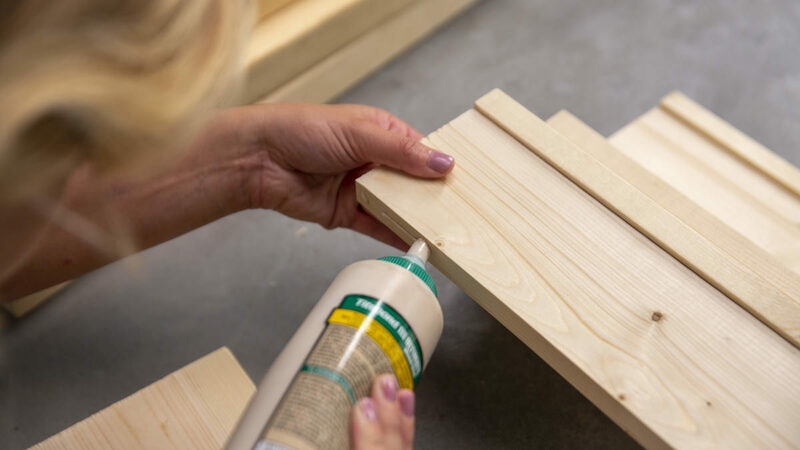 Line up a one-by-two piece on-edge and attach with wood glue and two 1 1/4" screws—make sure they aren’t too close to the edge, or they’ll split the wood. 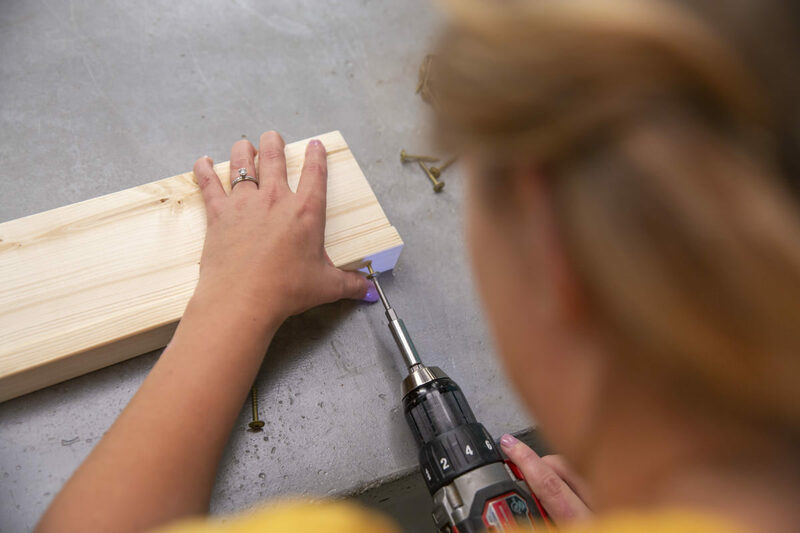 Repeat on the other side, then remove the one-by scrap piece. The lip on each level is there to keep the spices from moving around. If you have patience, feel free to just use glue. 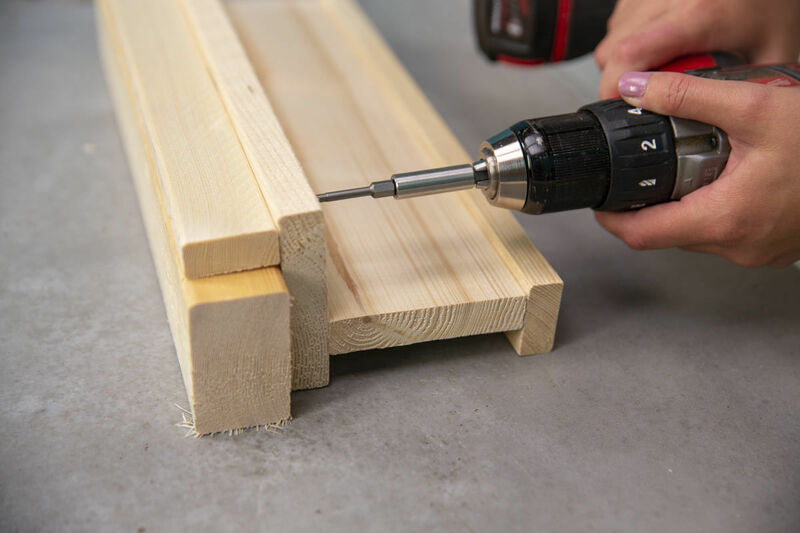 You can also use nails instead of screws. This spice rack is only holding up spices, so it doesn’t need to be super strong. 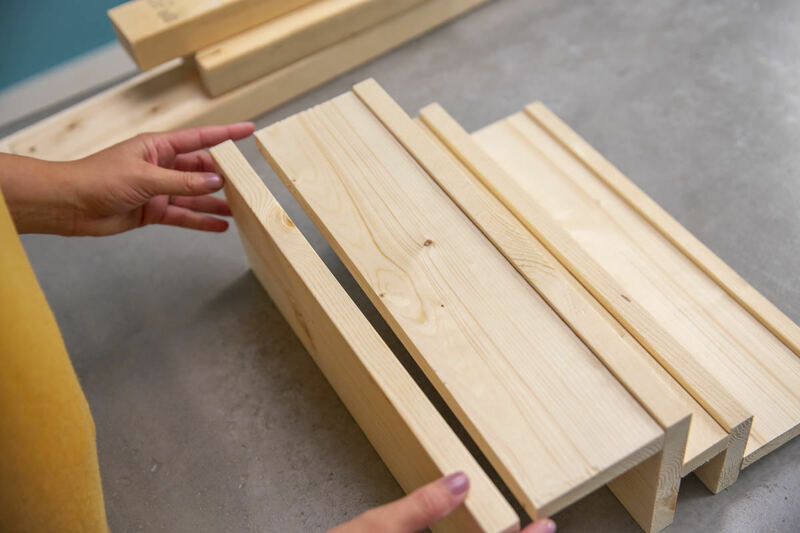 To attach the second tier, use a two-by-three scrap piece on-edge as a temporary support, then lay a one-by-two horizontal piece on top of the two-by-three. 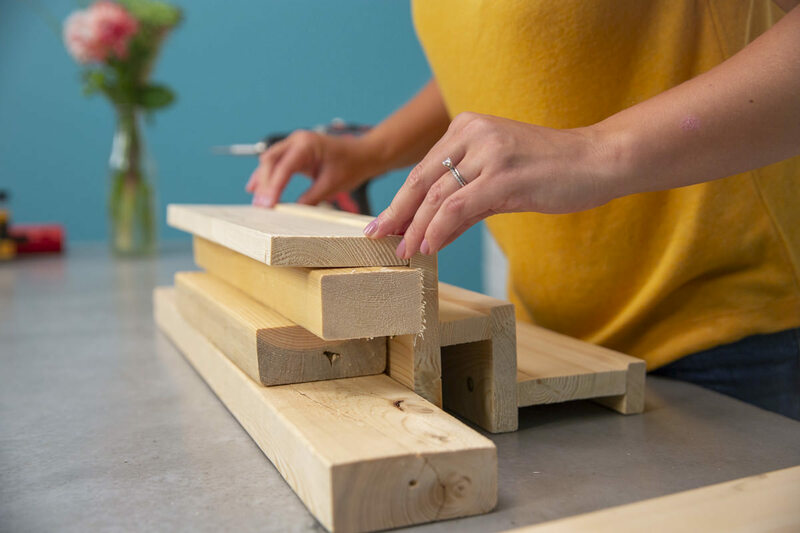 Line it up with the first tier and attach the one-by-four to the one-by-two of the second tier with glue and screws. 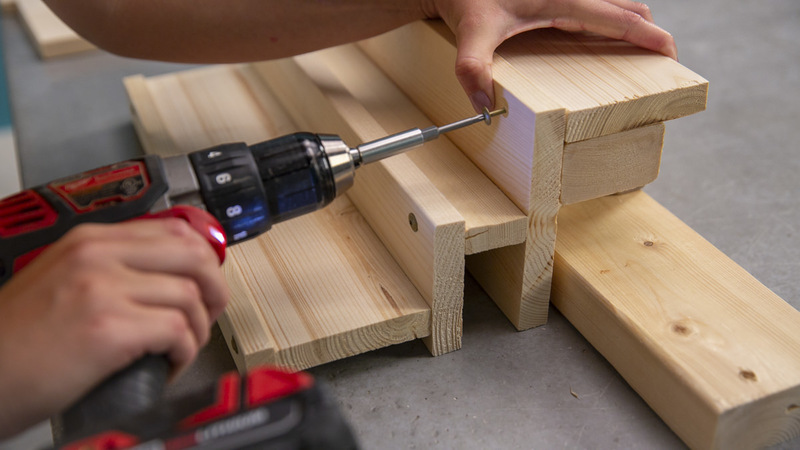 On the opposite side, attach a one-by-six on-edge in the same way—be careful not to run into the screws. Remove the scrap piece. Now it’s time to assemble the third and final tier. 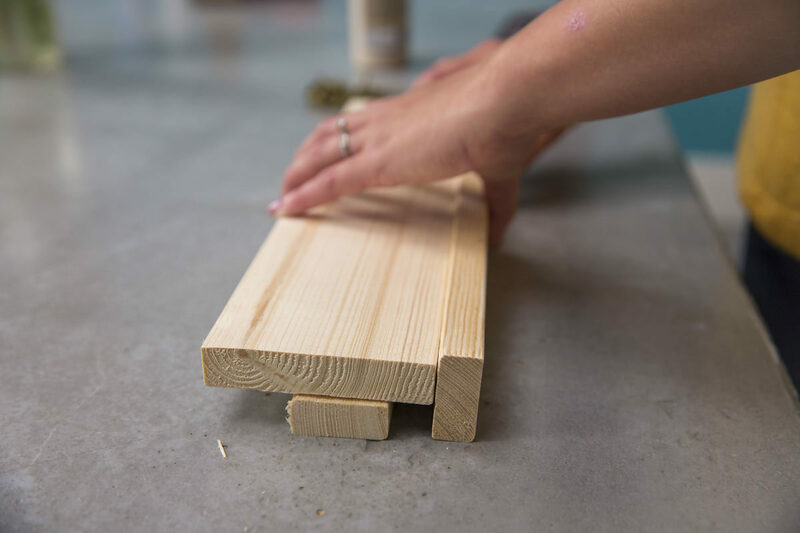 Use three two-by scraps for your temporary support, then lay a one-by-four horizontally on top of the scraps. 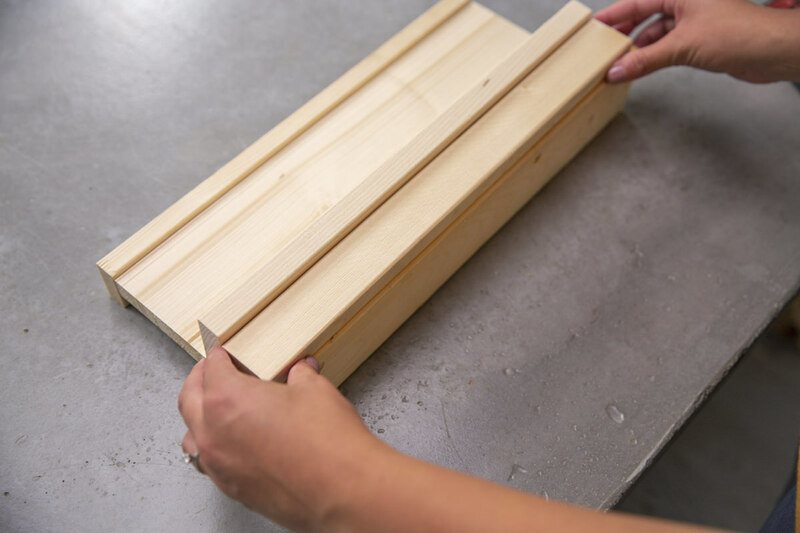 Line your piece up with the second tier and attach the one-by-six to the one-by-four with glue and screws. Remove the scraps. Next, attach the one-by-six on-edge to the opposite side of the one-by-four—this is the back piece. 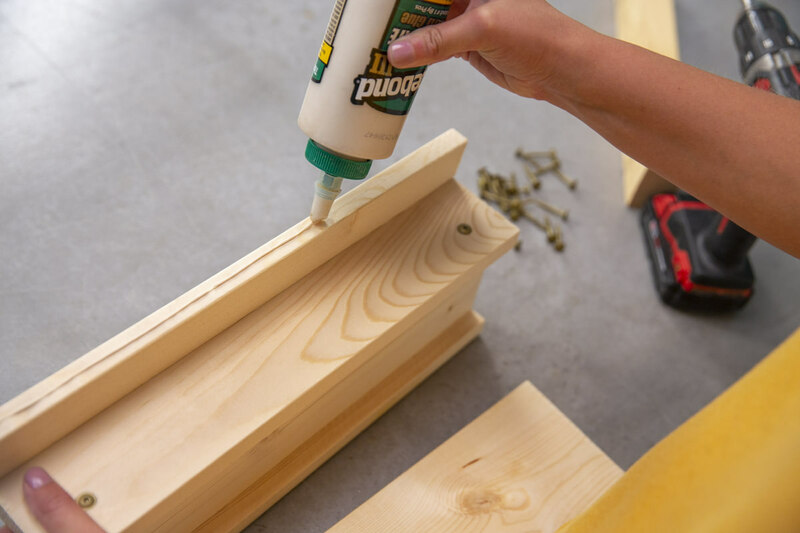 Pay attention to the levelness of the spice rack here—if it’s tilting back and forth and you can find a way to fix it with the way you attach the back piece, do it. Pretty easy, right? One thing I did learn from this project is that a one-by-two is not wide enough for most bottles of spices, but it is wide enough for those metal boxes. I organized my spices to fit accordingly, but feel free to customize this to your personal needs. There are lots of options! Plus, the hollow space underneath provides even more storage for the ones you use less frequently—that’s where I’m storing the rose water I break out once a year to try making Turkish delight. 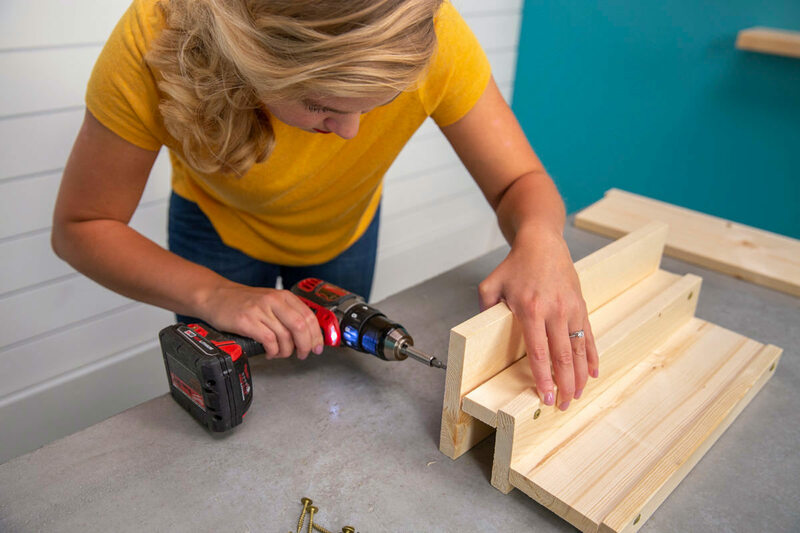 You can leave it bare if you like (that’s what I did), but consider staining or finishing it if it’ll sit out on your counter—it’ll not only look better, but it’ll be protected from any spills or splatters. Ah, organization.